During the first three years of California's five-year-old cap-and-trade program, the bulk of greenhouse gas (GHG) reductions occurred out of state, thus forgoing in-state reductions in harmful co-pollutants, such as particulate matter, that could improve air quality for state residents, according to a new study led by San Francisco State University and University of California, Berkeley researchers. The study assessed how patterns of greenhouse gases and associated air pollutants changed through time and with respect to environmental equity between 2011 and 2012, prior to the start of California's cap-and-trade program, and from 2013 through 2015, after carbon trading began. California is a world leader in adopting ambitious greenhouse gas reduction targets and boasts the world's fourth-largest carbon-trading program. Under cap-and-trade, regulated industries must hold tradable emissions permits or "allowances" equal to the amount of GHGs they emit. The total number of allowances in circulation among regulated industries is based on a cap that is lowered slightly each year. Companies can also offset their GHG emissions by purchasing credits through forestry or agriculture projects, which can be located in other states. Between 2013 and 2015, 75 percent of the offset credits purchased by regulated companies were outside of California. In addition, slightly more than half of the regulated facilities (52 percent) reported increases in annual average in-state GHG emissions after the initiation of the cap-and-trade program. The cement, electricity generation and oil and gas production industries saw particularly large increases in their in-state GHG emissions. The study also found that the neighborhoods that experienced increased emissions from regulated facilities nearby had higher proportions of people of color and low-income, less educated and non-English speaking residents. This is because those communities are more likely to have several regulated facilities located nearby. However, California law requires 25 percent of the revenue from the state's cap-and-trade program to be invested in greenhouse gas reduction measures that benefit disadvantaged communities. 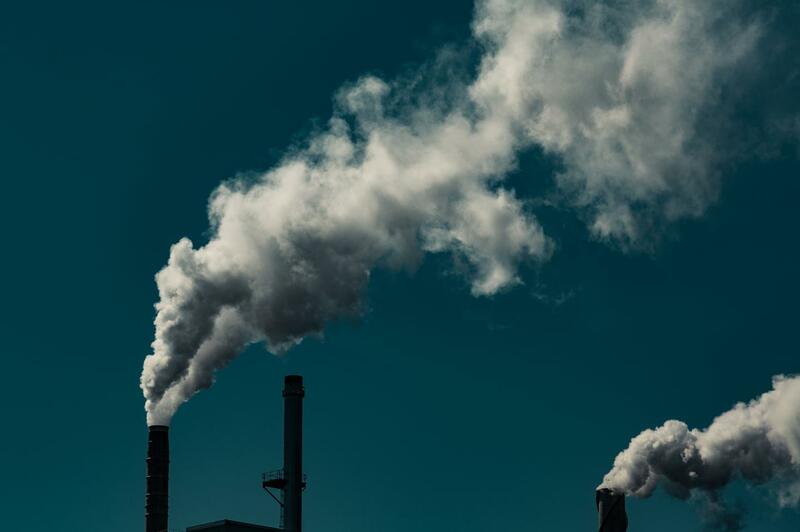 "Good climate policy is good for environmental justice," said Lara Cushing, the study's lead author and an assistant professor of health education at San Francisco State. "What we've seen from our study is that so far, California's cap-and-trade program hasn't really delivered on that potential." The impact on these communities could be severe and long-lasting, the authors said. Many other air pollutants — including particulate matter, nitrogen oxides, sulfur oxides and volatile organic compounds — are associated with carbon dioxide emissions, and these "co-pollutants" are linked to respiratory and cardiovascular disease. "California's climate change law requires consideration of environmental equity in its implementation, and this is the first study to look at temporal and equity trends in greenhouse gas and co-pollutant emissions since the implementation of the state's cap-and-trade program," said senior author Rachel Morello-Frosch, a UC Berkeley professor of public health and of environmental science, policy and management. "The state could do more to ensure that residents receive the short-term health benefits from improved air quality by incentivizing deeper greenhouse gas reductions in CA among regulated facilities." Despite the study's findings, Cushing said that California is to be commended for committing to ambitious climate goals and that things could improve moving forward. For example, the state's urban greening program funds urban forests and greenways in many disadvantaged communities, and because many of those projects have not yet matured their air quality benefits may not yet be obvious. Additional measures may be needed to ensure that California's cap-and-trade program truly benefits the state's disadvantaged communities. "Placing geographic restrictions on trading and limiting the amount of pollution 'offset' credits that companies can use to comply with the program could help incentivize local emissions reductions," said Cushing. "The communities that live on the fence line near these industries saw hope in the [cap-and-trade program] that emissions might be reduced. But so far, we haven't seen the kind of environmental equity benefits people were hoping for." Other study co-authors are Dan Blaustein-Rejto of UC Berkeley's Goldman School of Public Policy, Madeline Wander and Manuel Pastor of the University of Southern California, James Sadd of Occidental College in Los Angeles and Allen Zhu of UC Berkeley's Department of Electrical Engineering and Computer Sciences. The work was funded by California Office of Environmental Health Hazard Assessment and the Institute for New Economic Thinking.